Oh my! 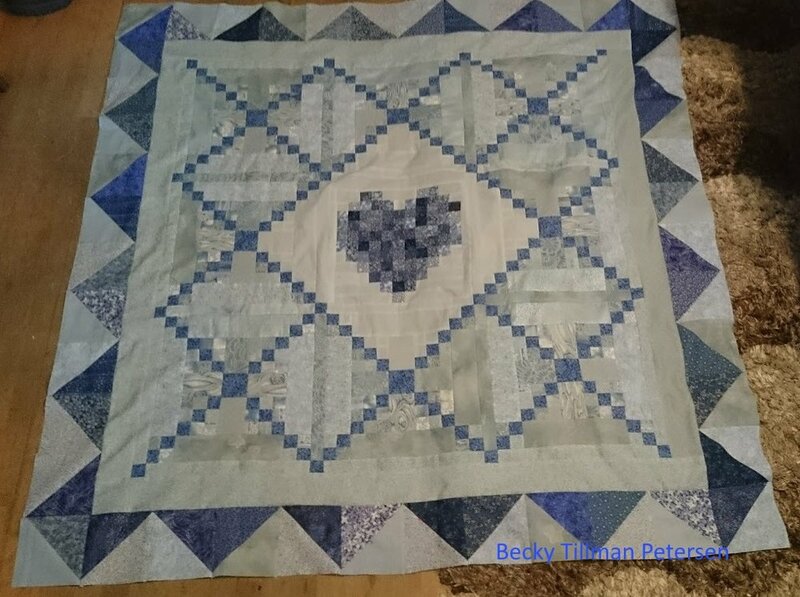 I wrote about it on Saturday that I was going to end up making a wedding quilt for a couple in a country in Central Asia. I didn't realize I was going to, though, until Friday, late morning. I decided to chronicle my progress so you can see how it's happening. I've been trying to notice when and how long things are taking me so you can see. 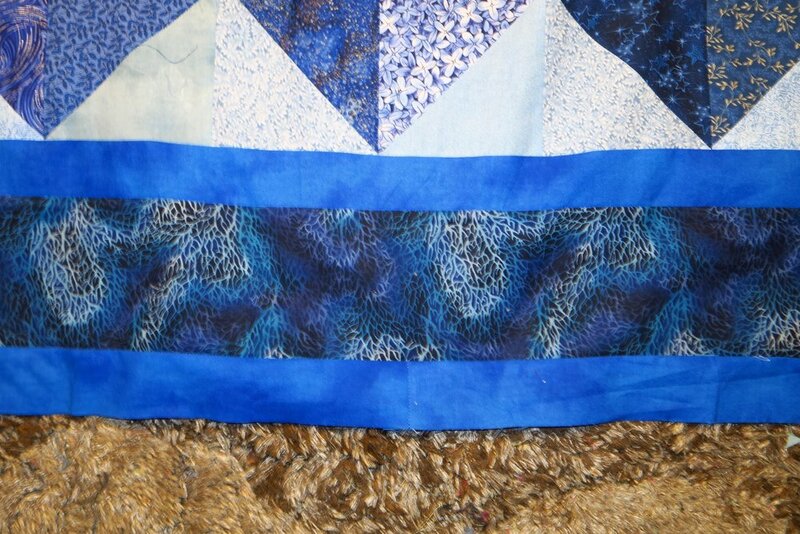 Saturday morning - I finished up the third of the girls' quilts, so it left me free to focus on a wedding quilt. I had the plan decided by about 2 pm - when I started choosing fabrics and deciding on a final plan - or at least the start of the final plan. By that I meant, I knew I had to get started - but I could change any border I wanted to until I actually did it! 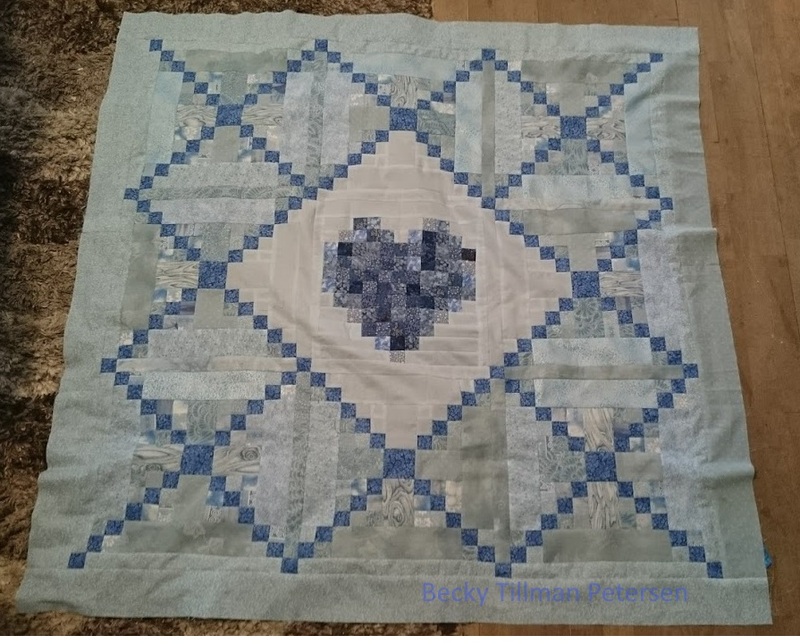 I decided to do a medallion type quilt - knowing that it could be very special and I thought I could get it done quickly. I designed each round with a consideration that I needed to finish it quickly in mind! So, I started on Saturday afternoon about 3 pm-ish. I knew I wanted to close the chains instead of making it as shown above. I soon realized, however, that that wasn't going to work, so back to the computer program to redo the next couple of borders - had to make sure everything fit and was do-able. For example, I didn't want to be dealing with 4 1/4" half square triangles! I was still trying to decide about some of the colors but I was tired and I thought that I could finish this quilt by Tuesday night if I reached certain goals. My goal for Saturday night was reached with the above picture. I knew I wouldn't get back to it until Sunday mid afternoon, however, due to other responsibilities! So, here's what happened on Sunday - this will get you caught up with where I am. I knew I was working against the clock because I needed to make some decisions about the next three borders in the sunlight. So I actually decided on them at about 4 pm on Sunday - not knowing how long everything as going to take. 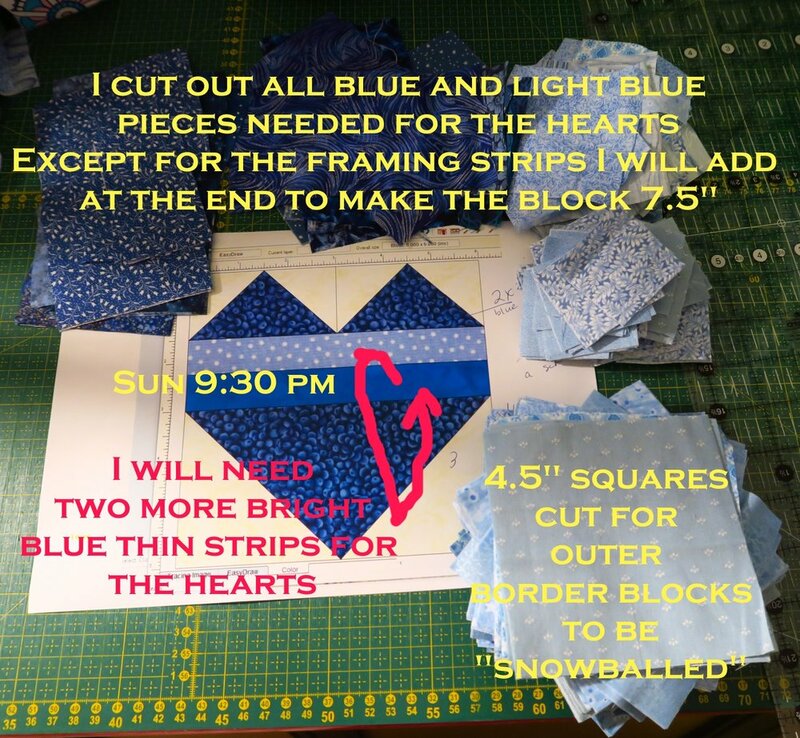 I wanted to finish the 20 checkerboard blocks needed for the next border - so I went ahead and did that - I had sewn the strip sets on Sat. evening when I was tired but hadn't done anything with them except cut them up. I set them aside to actually make the little checkerboard sections. The blue isn't really quite as dark as it seems here - you'll see. The rest of the plan is pretty light - so hopefully all will be well. I had the 20 blocks done by 8:40. I took a little break and then decided to stop sewing for the day. But I needed to CUT some for tomorrow. Here is the plan without the lines - I am always a little astonished how similar the plan looks to the final project - esp. since I don't usually scan my fabrics and put them into the program. I use the default colors and fabrics they have. I don't know for sure about the color of that last outer solid border - we'll see what I end up with there. And that's where I am. I need to have the top completely finished by Monday night, so that Tuesday right after breakfast I can sandwich it and start quilting it. I do have at least one other obligation that will take about 3 hours of my time on Monday, so I can't spend all day on it! And that's what's been happening in my part of the world - with regards to quilting, anyway!